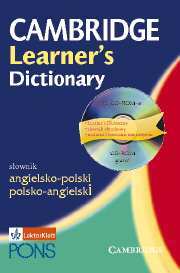 This dictionary is ideal for intermediate to upper-intermediate students and for those preparing for Matura and First Certificate exams. It gives coverage of British and American English. 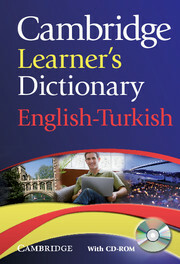 Clear and up-to-date vocabulary is based on Cambridge International Corpus. Polish translations are given for every entry, and there is a Polish-English index. Polish translations are in colour so they are easy to spot. Usage notes in Polish highlight difficult words and phrases. There is a seperate study-section in Polish to help with vocabulary and grammar. The accompanying interactive CD-ROM with hundreds of interactive vocabulary exercises - to use on-screen or print out for classroom use gives plenty of extra practice. The dictionary on the CD-ROM is organised in a handy searchable format. You can listen to every word in British and American English - and even record yourself for comparison. It is sold in Poland.  Polish translations for every word and Polish index.  Up-to-date and easy to use.  Available with CD-ROM.